Spend this Labor Day weekend gearing up for football season and enjoying the very last bit of summer. To celebrate Marvel Studios’ 10th anniversary, Challenger Learning Center of Tallahassee will show a decade of Marvel Studios’ films starting with “Iron Man” to “Ant-Man and The Wasp.” The Marvel Studios 10th Anniversary Film Festival will show all twenty films exclusively in IMAX. Three of these films including “Iron Man,” “The Incredible Hulk” and “Captain America: The First Avenger” have never been seen in the format. Join Madison Social for the biggest birthday bash yet. The event will include a massive mini doughnut tower from SoDOUGH, all day $5 menu which includes BLT Dip, Fat Fingers, Madison Mule, Dublin Mule, High Line and Changes in Lattitude as well as Social Drinker Appreciation Hour 6-7pm. Two free select drinks for the first 500 people wearing any Social Drinker shirt. 3. Mac Attack: Tally Mac Shack and Oyster City Brewing. Tally Mac Shack teaming up with the beloved, Oyster City Brewing. They have curated a brew and mac pairing that you are sure to love. 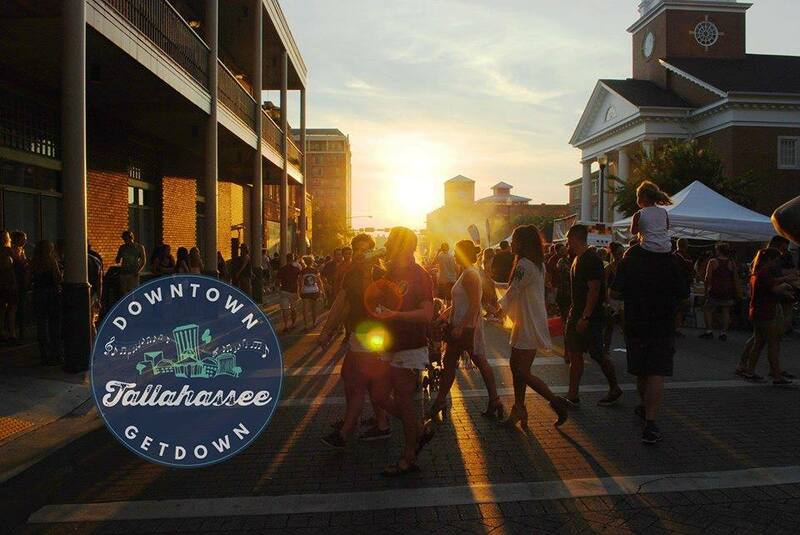 Go listen to local band Tallahassee Nights Live and enjoy the football tradition on Adams Street in Historic Downtown. All events are FREE and open to the public, and all ages are encouraged to attend. On the other side of town, boogie at Northtown GetDown with Old Soul Revival with Jason Taylor. Enjoy plenty of vendors, food, drinks, live music, DJ, and kid-friendly activities for the entire family. Enjoy mini golf, bounce houses, video games on a giant screen, and so much more. Dueling Pianos are back for the first fall show of 2018. Don’t miss the guys from Rockeys Dueling Piano Bar for a night of good times, good music and good people. They’re throwing a summer shin-dig, with an inflatable waterslide, frozen lemonades, pools, umbrellas…. the whole works. So throw on your Hawaiian shirt and swimmies and join the fun. Get pumped for a yoga session with cats! The hour yoga session takes place then you can grab a free coffee or tea and wind down with the cats. Also, a portion of the admission fee will be donated to the Leon County Humane Society. BYOM. Get ready for Monday with a Gameday Weekend Bar Crawl with Madison Social and their friends from The Nolecast and Proof Brewing Company. New Orleans-bred rapper and freestyle king Kevin Gates is quickly making himself known within the hip-hop community since breaking onto the scene with 2007’s smashing mixtape Pick Of Da Litter. Back on tour, Gates and his hype men will have ticket buyers getting down all night at his upcoming shows.